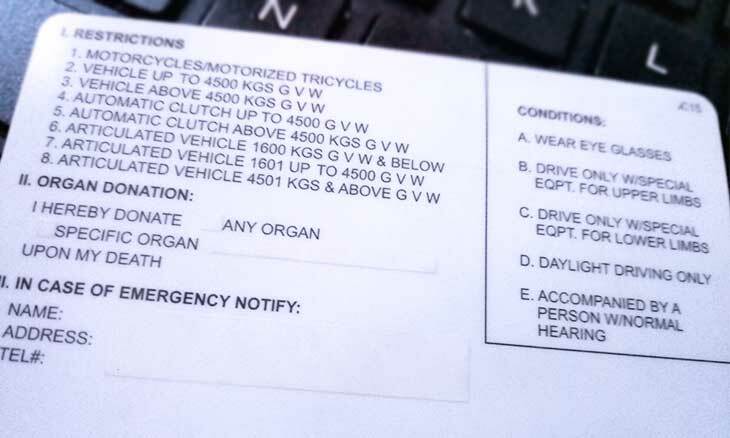 Note: If you failed the actual/practical exam on a specific restriction code, for example 2 – for vehicle up to 4500 kg. 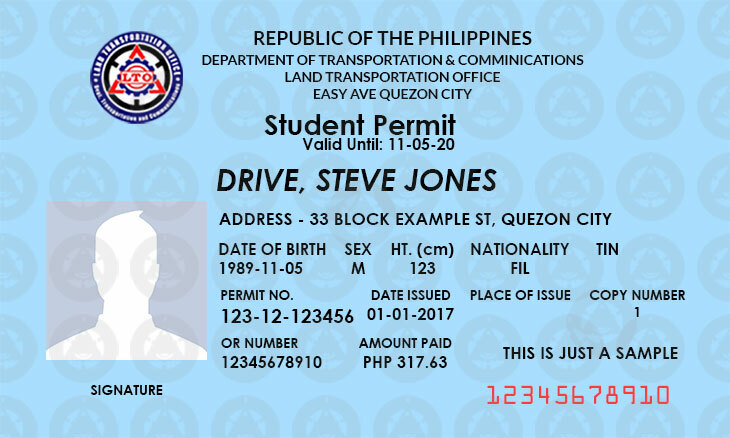 G V W, and you applied for 1 and 2, 1 will only be printed on your driver’s license which means you can only drive with a restriction 1 – motorcycles/motorized tricycles. Gross Vehicle Weight (G V W) is the overall weight of a vehicle as specified by the vehicle manufacturer which includes vehicle’s engine, chassis, body, fluids, fuel, accessories, driver, passengers and other loads. Note: Special equipment of an applicant shall be assessed by the LTO licensing evaluator during the application process if it fits the applicant with the vehicle to be used. Prior to the application process, if you have a vision impairment, bring an eye glasses to avoid hassle in medical exam. Be sure to drive a vehicle according to your license type, driving restrictions and conditions. A good driver means a law-abiding citizen. 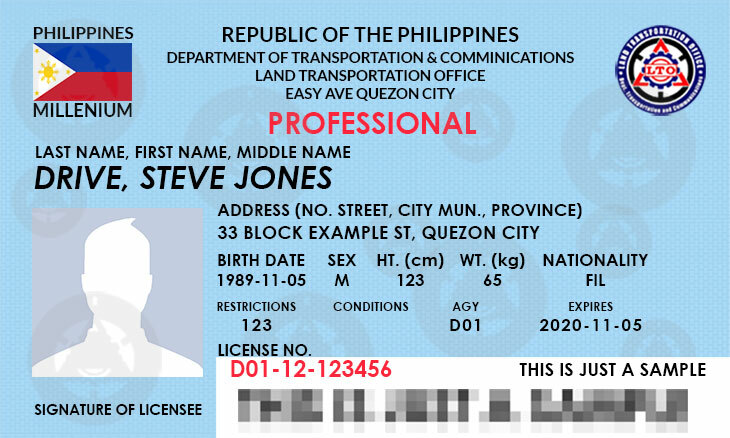 My drivers license restriction is 4,and i wanted to change or add restriction 2.how or what will i do? An additional restriction is necessary, it’s like applying for a new license (Non-professional License), except for having a student permit. 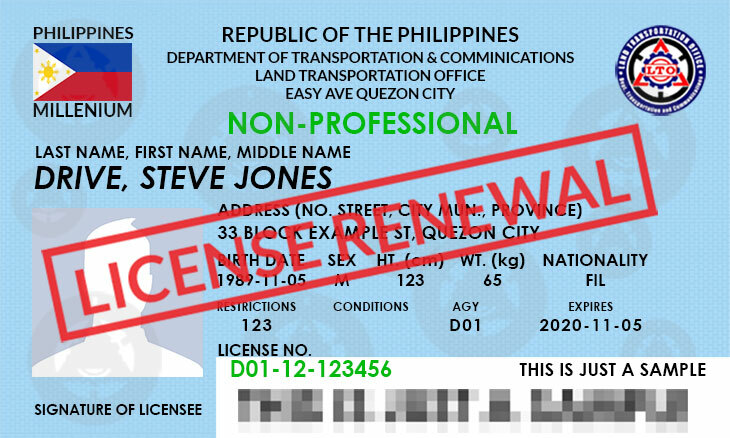 You’ll need to provide your previous license with the restriction code 4.